By Christopher Kent, DC, Esq. Twenty three years ago, while trying to fall asleep, I turned my head to one side. The right side of my body went numb and the room started swirling. I remember the ambulance ride and the sheer panic of not being able to feel or move my arms and legs. After arriving at the emergency room, I had a CT scan to check for a possible hemorrhage. Lying in the intensive care unit, a mechanical ventilator maintained my respiration. People I hadn’t seen for years came to visit. The attending neurologist had told my family that I would probably not make it through the next few days, and that if they wanted to see me, they had better come immediately. I recall the amalgam of horror, anger and helplessness, but most of all, a compulsion to answer the question, “Why did this happen?” Thankfully, there is a happy ending. I was visited by two chiropractors who adjusted me. Shortly after the first adjustment, I could wiggle the fingers on my right hand. Soon I was off the ventilator and able to use a wheelchair. With the unofficial consent of the attending physician, I continued to receive chiropractic adjustments while undergoing an intensive regimen of rehabilitation. A little over a month after being carried in, I walked out on my own power with the aid of a cane. Since then, I have taught at a chiropractic college, qualified as an attorney, and co-founded a successful business. I’m again able to drive a car and pilot a light airplane. I don’t consider myself a victim. And despite some residual health issues, I’m no longer seeking someone or something to blame. A common error in logic is equating correlation with cause and effect. The post hoc fallacy is the mistaken belief that because one event follows another, the first event caused the second event. This fallacy is the basis for many logical errors and superstitions.6 Examples range from the conclusion that bad luck follows a black cat crossing one’s path, to the conclusion that if you have a heart attack within months of reading a newspaper, that reading newspapers causes heart attacks. What’s wrong with this? Even if we accept unconfirmed survey results as accurate, let’s change “chiropractic manipulation” to “automobile accidents.” Would it be reasonable to suggest that if in 55 of the estimated millions of patient visits to chiropractors over a two-year period, a car accident resulted within 24 hours of the visit, that chiropractic adjustments cause vehicular collisions? Want to see how absurd this can get? Change “chiropractic manipulation” to chili consumption or attempted sleep, both of which occurred the night of my stroke. Is there anything that would either strengthen or weaken a case of alleged causality? Yes. We can compare the number of times the event in question (in this case, stroke) occurs as a random event to the number of times the event occurs following the putative causative event (in this case, a “chiropractic manipulation”). Nearly 14 years ago, in a letter to the editor of JMPT,8 Myler posed an interesting question: “I was curious how the risk of fatal stroke after cervical manipulation, placed at 0.00025%, compared with the risk of (fatal) stroke in the general population of the United States. According to data obtained from the National Center for Health Statistics, the mortality rate from stroke was calculated to be 0.00057%.” But is Myler’s data credible? His 0.00025% figure is from a paper by Dabbs and Lauretti.9 Their estimate is probably as good as any, since the basis for it was a reasonably comprehensive review of literature. Jaskoviak 10 reported that not a single case of vertebral artery stroke occurred in approximately 5 million cervical “manipulations” at the National College of Chiropractic Clinic from 1965 to 1980. Not one. While it is human nature to attempt to attribute a catastrophic health event to a specific cause, it must be remembered that the mere fact that one event follows another does not mean that the first caused the second. There is no scientific evidence establishing a causal relationship between stroke and chiropractic adjustments. Superstition, speculation, and logical fallacies should not form the basis for public policy or informed consent. Any attempt to mandate a disclosure of such a putative relationship, in my opinion, is utterly inappropriate. Cassidy JD, Boyle E, Cote P, et al. Risk of vertebrobasilar stroke and chiropractic care. Spine, 2008;33(45):S176-S183. Chestnut JL. The stroke issue: paucity of valid data, plethora of unsubstantiated conjecture. (Commentary) J Manipulative Physiol Ther, 2004;27(5):368-372. Wenban A. Critical appraisal of an article about harm: chiropractic adjustment and stroke. Journal of Vertebral Subluxation Research, 2001;4(3):68-74. Haldeman S, Carey P, Townsend M, Papadopoulous C. Arterial dissections following cervical manipulation: the chiropractic experience. CMAJ, 2001;165(7):905-906. Terrett AG. Misuse of the literature by medical authors in discussing spinal manipulative therapy injury. J Manipulative Physiol Ther, 1995;18(4):203-210. Lee K. Neurologic complications following chiropractic manipulation: a survey of California neurologists. Neurology, 1995;45(6):1213-1215. Myler L. Letter to the editor. J Manipulative Physiol Ther, 1996;19(5):357. Dabbs V, Lauretti WJ. A risk assessment of cervical manipulation vs. NSAIDS for the treatment of neck pain. J Manipulative Physiol Ther, 1995;18(8):530-536. “Chiropractors Don’t Raise Stroke Risk, Study Says.” Globe and Mail, Jan. 19, 2008. Kilo CM, Larson EB. Exploring the harmful effects of health care. JAMA, 2009;302(1):89-91. Leape L. Error in medicine. JAMA, 1994;272(23):1851-1857. Christopher Kent is a chiropractor and an attorney. He is the owner of On Purpose, LLC, and president of the Foundation for Vertebral Subluxation. 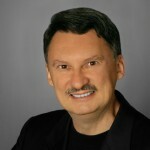 A 1973 graduate of Palmer College of Chiropractic, he is a Diplomate and Fellow of the ICA College of Chiropractic Imaging. Dr. Kent is known within the chiropractic profession for his dedication to integrating the science, art, and philosophy of chiropractic for doctors and students of chiropractic. He was awarded Life University’s first Lifetime Achievement Award in 2007. Dr. Kent is former chair of the United Nations NGO Health Committee, the first chiropractor elected to that office. To learn more about the On Purpose program and what it can do for you, visit http://www.chiroonpurpose.com. For information concerning the online Advanced Subluxation Training course, visit http://www.claast.com.